Enjoy your dinner without the hassle of trying to find a parking spot. Our spacious private lot is free. 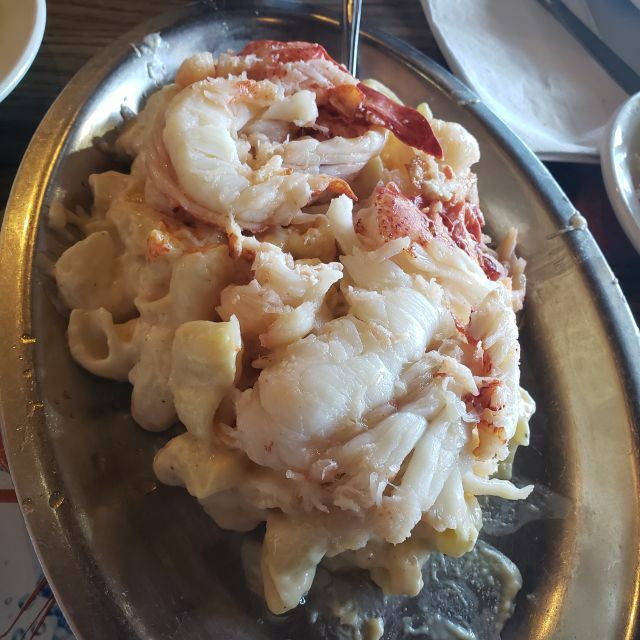 No Boston family has been serving seafood longer than the Contos family at No Name restaurant on Boston's Fish Pier. For over a century we've delivered the freshest catches to folks like you who who have come from all over the world to enjoy a memorable meal. 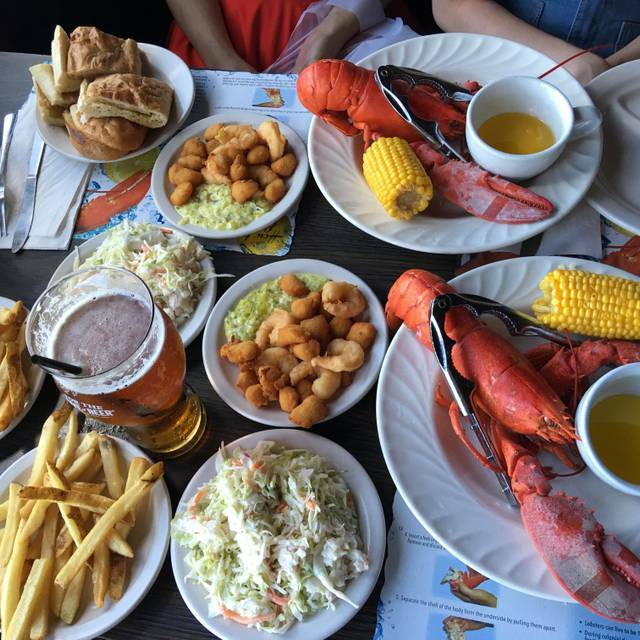 The No Name restaurant has become as synonymous with Beantown as Paul Revere and Fenway Park- with good reason. We serve great food in a friendly atmosphere. And there's FREE parking!! Everyone at the No Name made our holiday dinner extra special they treated us like family! Everything was delicious! Very full when we left! Thank you! Freshest seafood to be found. Delicious. Outdated, no nonsense, bare bones setting. Servers are a cast of characters who bring smiles to the patrons’ faces. Great value and genuine Boston experience. If you are looking for no frills, just fresh seafood on the water, look no further. Nothing fancy here but tasty food and excellent service. Loved the casual, relaxed atmosphere. Good place to bring the family. Accommodated party of 12 easily. Broiled seafood platter excellent. Sautéed seafood platter good; scallops lobster not so sweet & tender. Great food ,the atmosphere was excellent an the personal that worked there was fabulous. The restaurant had good reviews, but I was really disappointed. I had to add pepper and tabasco to the food to get some flavor. I had a broiled seafood platter and a glass of wine, with vegetables on the side. I have actually had better food in hospital cafeterias. My total bill should have been around $20, not the over $40 that I paid. I could see a restaurant out the window that I should have chosen instead. Also, the wait staff was nice enough but one spent time on his phone in plain view of patrons. I don't know how anyone gave them 4 stars. If you have time while in Boston, this is worth a stop. Old restaurant, limited menu - you get broiled or fried - quality is great, service is excellent. I have been going for years on my trips to Boston and am never disappointed. Due to limited menu, food comes out without a long wait. Prices are very good for the quality. Our waiter was wonderful. Gave us great suggestions on the seafood selections and was just the nicest guy. Food was very good for the price. Despite the opentable reservation, this restaurant operates on a sort of first come-first serve basis, as most everyone made reservations and the space is a bit small. 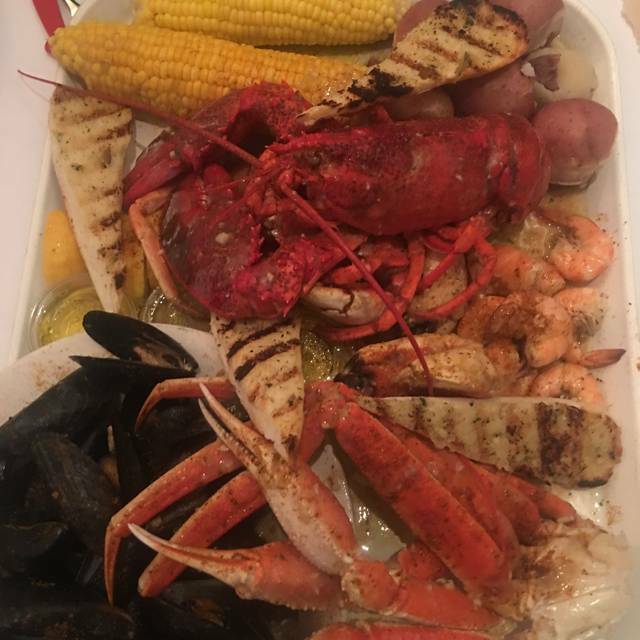 The food however was great, and if you’ve never been and love seafood, it’s a must have. Check the menu first, as the options can be limited, but guaranteed fresh. Quality of food was pretty good. 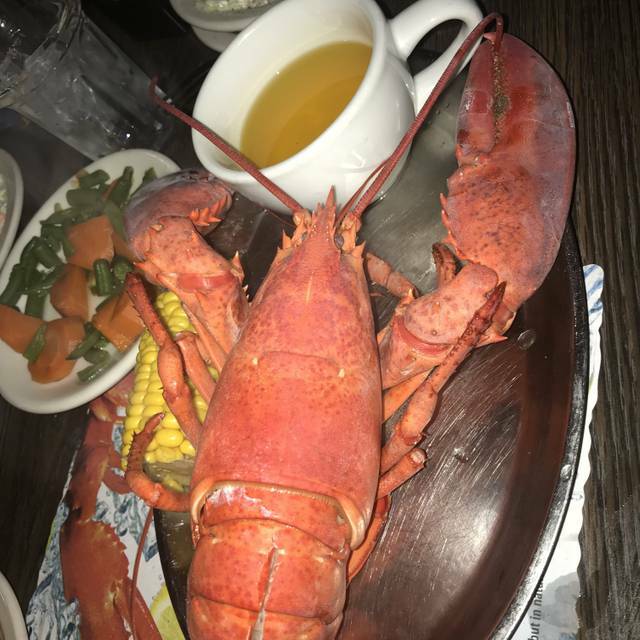 Lobster was not very soft. Why? Courses did not arrive well synchronized. Fried schrimps while we were beginning our chowder. It’s a downscale, bus tour seafood shack. Everything is fried or over boiled. Classic, but not that good. This was our third year visiting No Name. It was wonderful as always. Excellent food, no-fuss type of restaurant, great for a fun no nonsense group! Great people working there! Location is great, but food disappointing. Scallops ok, but lobster in dish rubbery. Portion size is fine. We sat at the back to overlook the water and Peter was our waiter. He was outstanding, wonderful, attentive, humorous, and spot on! We did not plan to stay as long as we did and he made our experience the highlight of our trip! The food was plentiful, delicious, and had a great flavor. The lobster roll was huge and the home made sauce was a perfect compliment to it. Even the slaw was light and enjoyable. 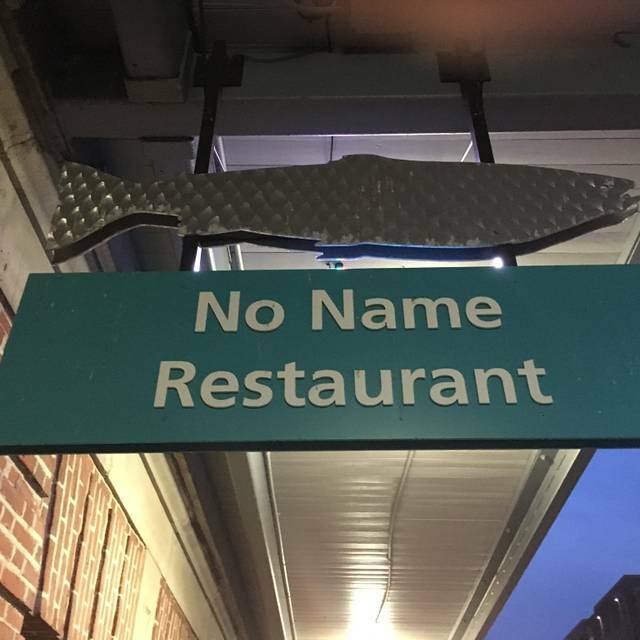 We come once or twice a year to Boston and the No Name Restaurant will now be part of our destination. Thanks PETER!! We really enjoyed meeting you and will see you again! All in all great experience very great staff and service! The place could use some remodeling! Place was great quick service, food was great. Great location with parking that they validate. Maybe - seemed like the lobster had been frozen. I could make that at home...was hoping for fresh while in Boston. Food was amazing. Menus were on the smaller side, a positive for me because it's tough for me to make up my mind. Beer selection was great and service was wicked fast. A bit noisy because the tables were so close together but it's not a problem. It has been many years since I’ve been to this restaurant. All my fondest memories were inspired. 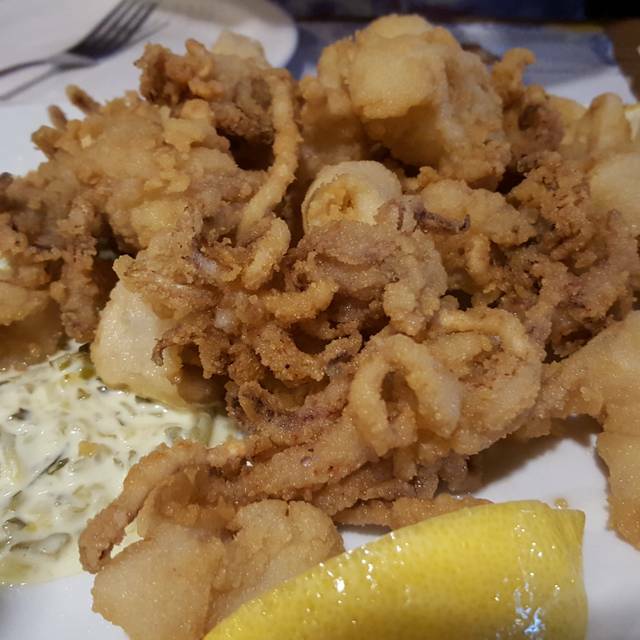 Seaport, excellent seafood and servers who enjoy their fare and are pleased with your satisfaction. The food was good enough, tasty and well cooked but that was about it. Pricy for what you got, no frills , about average. Fabulous service and great food! A favorite for many years. I’m spending a few days in Boston and a colleague recommended No Name. I had the chowder and broiled scallops and both were fantastic. I like that the business is family run. The servers were engaging and friendly. The food was good - especially the broiled sole- and there was plenty of food. The atmosphere is mom and pop comfy, and the view over the water and fishing boats was nice. The place and food are simple, so don't come here if you're looking for a hipster or bougie experience. A place for real people to eat real food in a casual environment. Hadn't been here since I was a kid and it is exactly what I remembered. Tasty fresh fish served with a smile. It's also 3 blocks from the ICA so we only had to park once! We will be back soon. Thursday early evening dinner, space at table by pier side window. Family-like atmosphere, engaged staff, and just the right amount of attention. 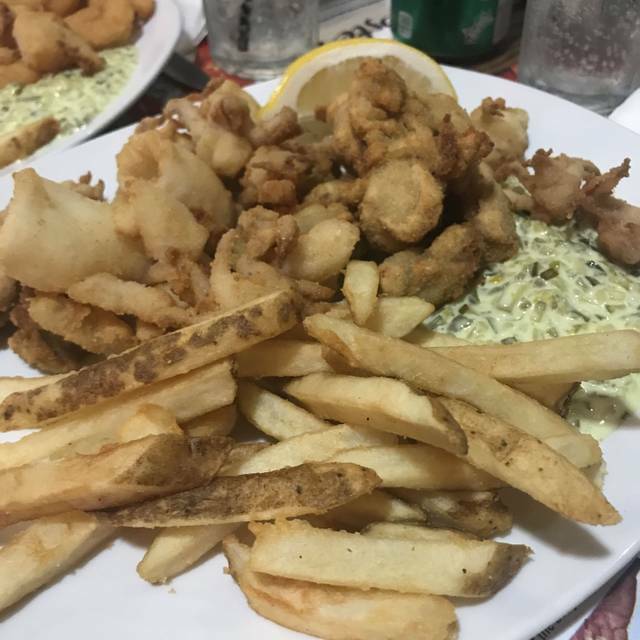 Scrod is always great, chowder unrivaled, and the coleslaw is a city’s treasure. Came highly recommended. Disappointed food was just average. Service was ok. Not what I expected. There was a sewer smell just outside the entrance door that almost made me change my mind about having lunch there. There was just 2 of us so we were seated pretty much at the same table with 2 other people just inches away. The quality of the food was ok just a little pricey for what you get. After a long day at the nearby Saaport World Trade Center Boston Flower & Garden Show, my wife and I took the five minute stroll just down the street to this restaurant, which I had visited previously with a troop of Boy Scouts. We were immediately seated upon arrival- there were not many people there at all. Our drink orders were quickly taken, and they and some bread were soon on our table- the garlic bread was very good. For entrees, my wife and I both opted for the sauteed seafood special consisting of lobster, scallops, and shrimp. First out, though, was cole slaw which was good- my wife liked it, I thought it could have used a bit more zing. The entrees were served with fries. 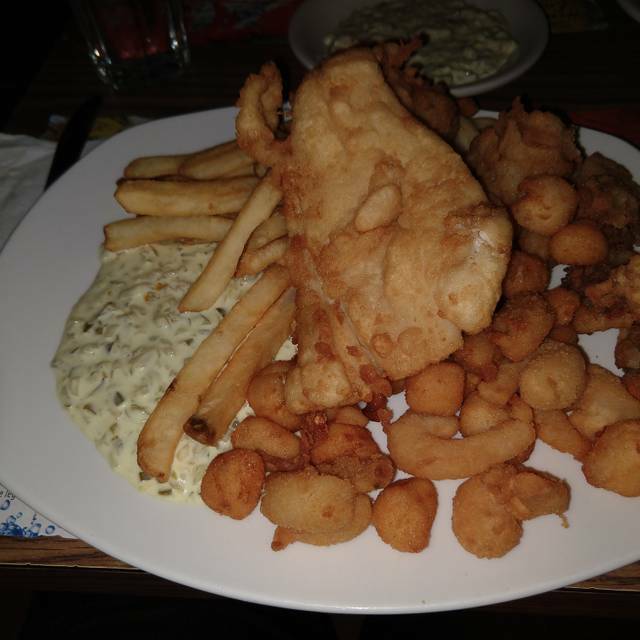 The seafood was very good- served at a good temperature, and an adequate portion of all three seafoods was served. The fries were acceptable- good to very good. Total price with the two soft drinks and the entrees before tip was just a bit over $68. We feel that was a fair price for a better-than-average meal with very good service, a friendly waiter, and nice ambiance. BTW- while the place was not very busy at all at 6:30 p.m., within 30 minutes it was full and alive. Still as not that noisy. Also, the soda was canned soda, not "on tap". 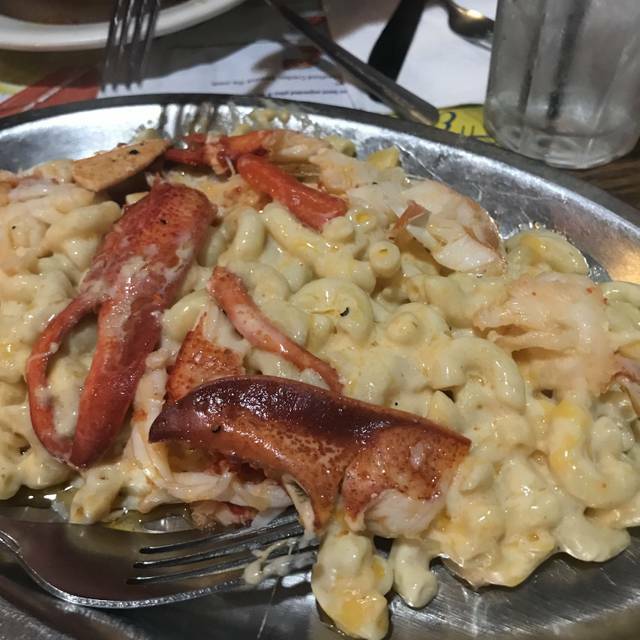 Lobster Mac and cheese was delicious, everything else was bland. Free parking was a positive! The lobster was awful....do not go to this place ever..better off catching your own and cooking it by yourself.. The Professor was a great waiter! Very friendly staff and very fresh food. We’re just used to more seasoning and spice. Good value and was crowded on a cold Wednesday! The seafood was exquisitely prepared - simple preparations allowed the fish to stand out. Portions were generous. Staff was fun and extremely on the ball! A great place for a fun evening - casual ambiance. To me, going to No Name is like visiting home! Everybody is so warm and friendly, the food is amazing, and there’s so much history there. We just love it! We were there over the past weekend to celebrate my husband and cousins birthday, and as soon as they heard that, they brought over complimentary appetizers! And a dessert for the birthday boys! Beware that it is no thrills, very simple. Seafood is very fresh. Lobster rolls had huge chunks of lobster.